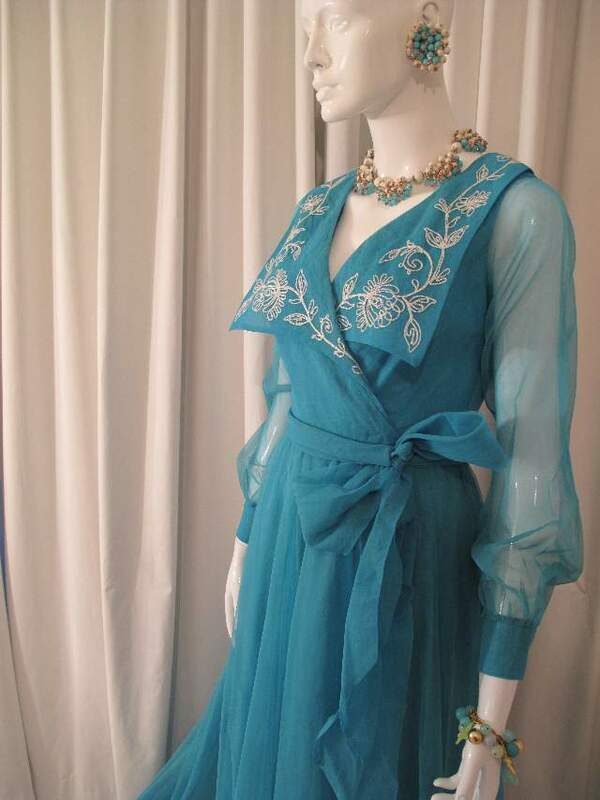 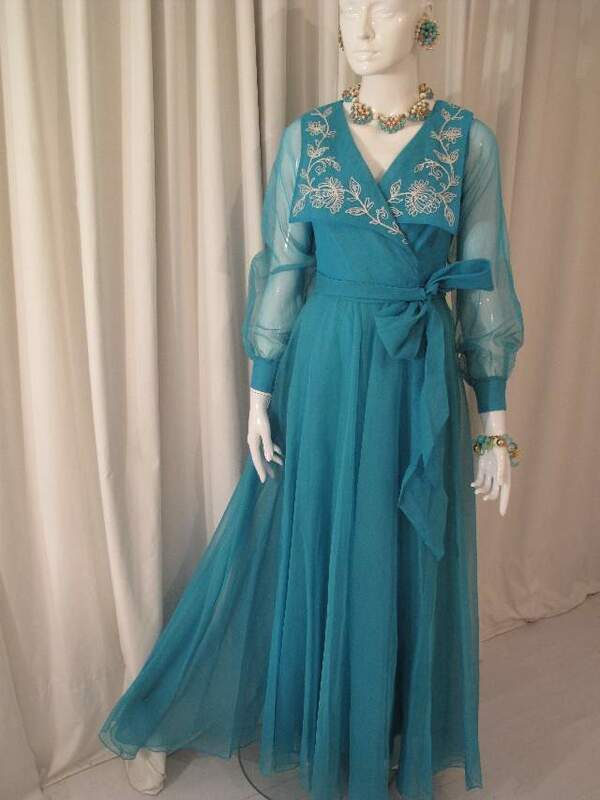 1960's Turquoise silk organza embroidered vintage gown. 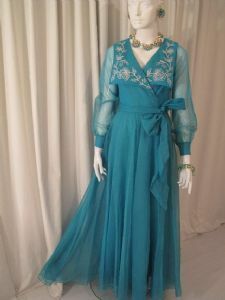 The gown is in a gorgeous turquoise /peacock blue, silk organza with long transparent sleeves. 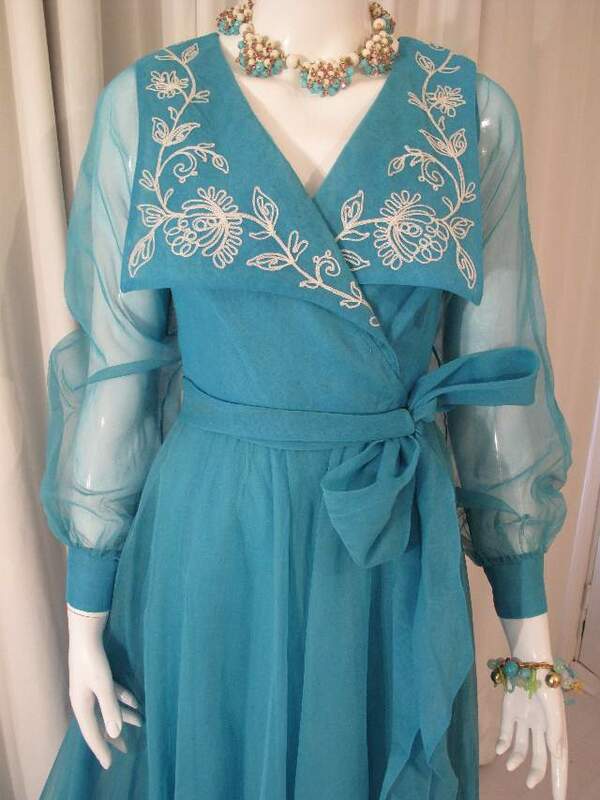 There is a dramatically wide crossover collar, that is embellished with contrast chain -stitch embroidery, in a flowing floral design. 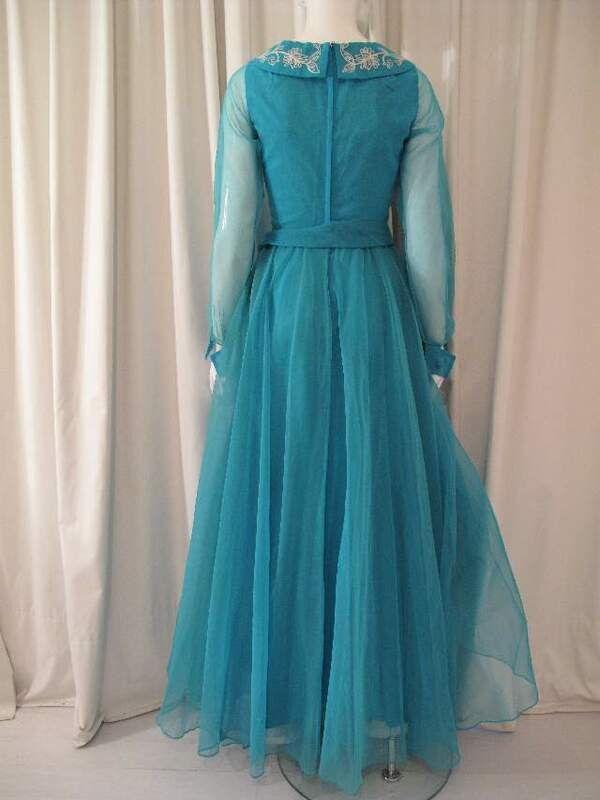 The skirt is full length, circular cut organza, with matching lining and a self tie belt in organza.